Collects Iron Man (1968) #55; Captain Marvel (1968) #27-33, 43-44, 58-62; Warlock (1972) #15; Marvel Spotlight (1979) #1-2; Avengers (1963) #219-220; material from Logan's Run #6, Thor (1966) #314, Marvel Graphic Novel #1. Follow the path of an Earth man whose destiny lies in the stars. 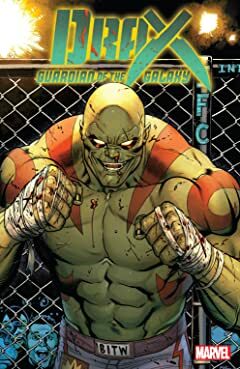 It's a story of death and rebirth as Arthur Douglas is transformed into Drax the Destroyer. He has one purpose: to kill the Mad Titan, Thanos! But can a warrior created to destroy become a hero worthy of one day guarding the Galaxy? 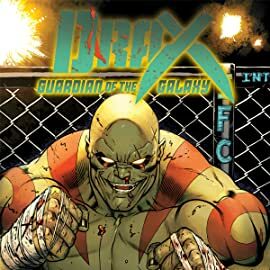 Find out in this complete collection of Drax's early adventures. He'll take on the Blood Brothers with Iron Man, and go on to play a huge role in the life and death of Captain Marvel. Then follow him into far-out bouts against Thor…and his own daughter, the Avenger Moondragon!